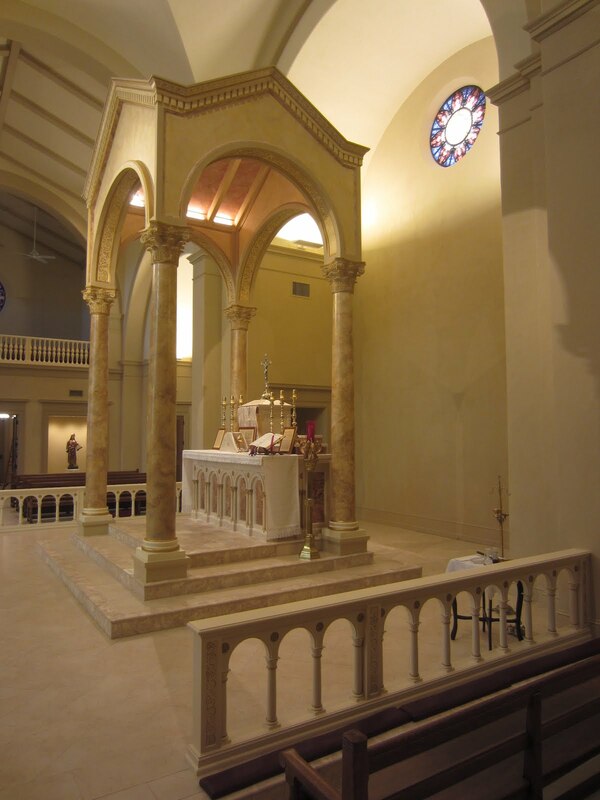 Designed by William Heyer Architect of Columbus, Ohio and constructed by Straub Construction of Shawnee, Kansas. The abbey choir seats 49 sisters and the abbess with nave seating for aspirants and transept seating for about 150 visitors. 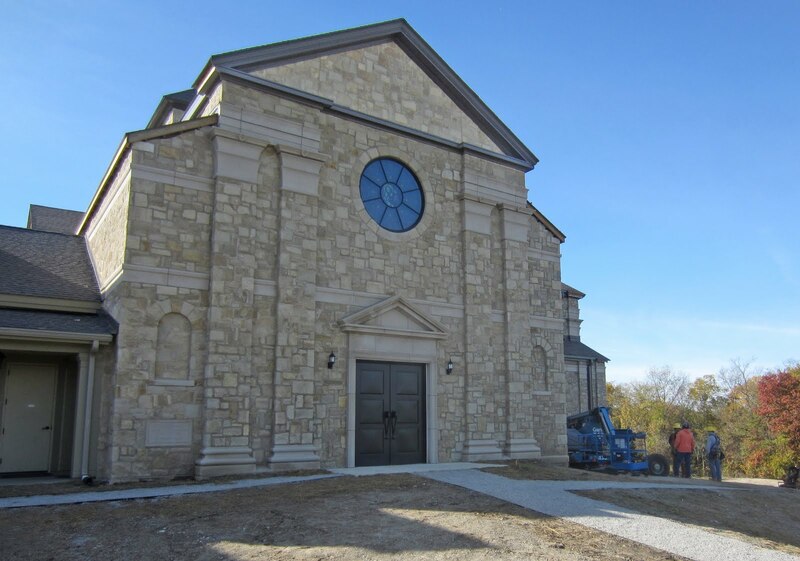 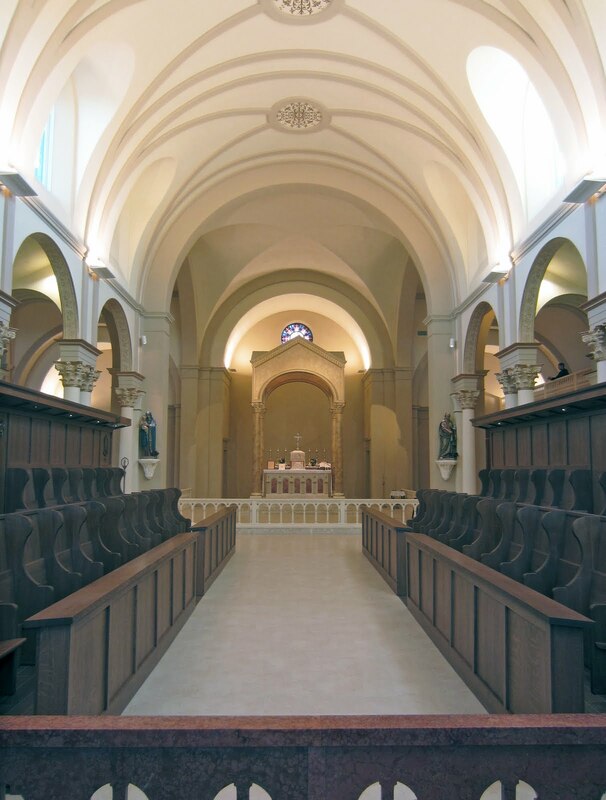 The abbey church is connected to the abbey chapter room, parlors, cloister, and abbey residence to the east also designed by William Heyer and constructed by Straub Construction from 2009-2015. 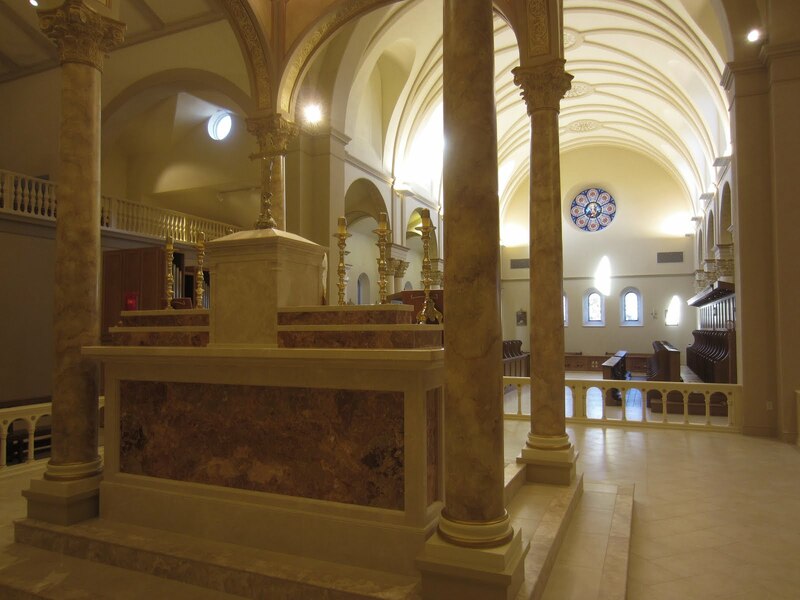 The abbey church is made of Kansas and Indiana limestone and the interior is plaster with plaster vaulting. 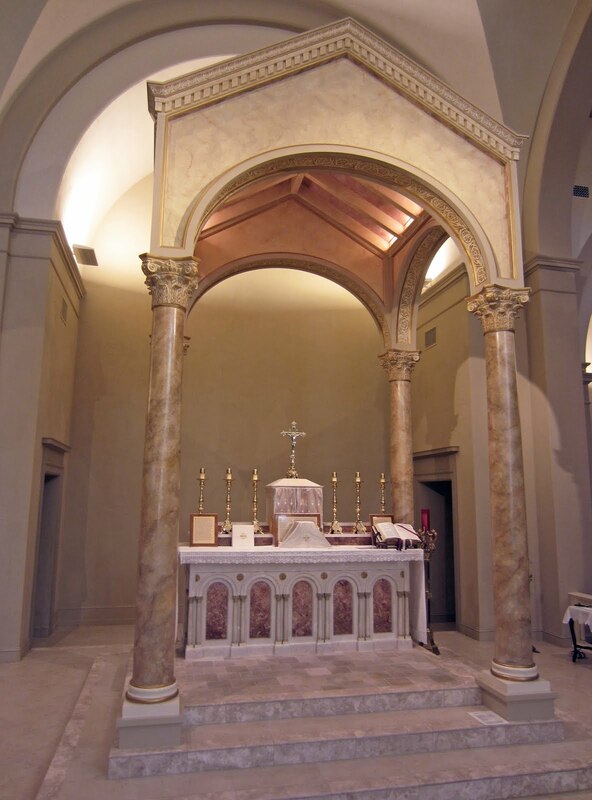 Of particular note is the high altar which is covered by a ciborium magnum, oriented toward the liturgical East and includes a predella.